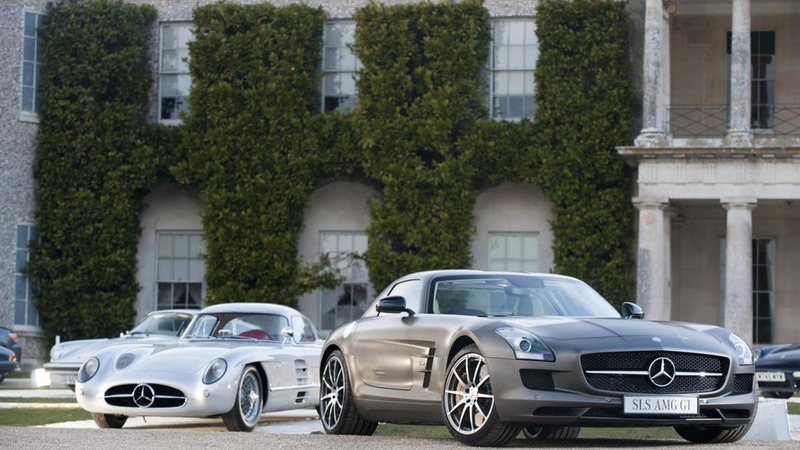 Mercedes-Benz will showcase this year at Goodwood Festival of Speed the superb 1955 300 SLR Uhlenhaut Coupe and the 2013 SLS AMG GT. Mercedes-Benz will showcase at this year's Goodwood Festival of Speed the superb 1955 300 SLR Uhlenhaut Coupe and the 2013 SLS AMG GT. Although built 58 years apart, the two cars share a few similarities since both are front-engined with a rear-wheel drive layout and feature gullwing doors. In addition, the two cars make extensive use of aluminum and have a hand-built, 8-cylinder engine. Only two coupes of the 300 SLR were ever made, with both of them having a straight-eight, 3.0-liter engine producing 310 HP (228 kW). It had a curb weight of only 1,117 kg (2,462 lbs) which made it the quickest closed-roof car of that time, being capable of reaching a top speed of 178 mph (286 km/h). 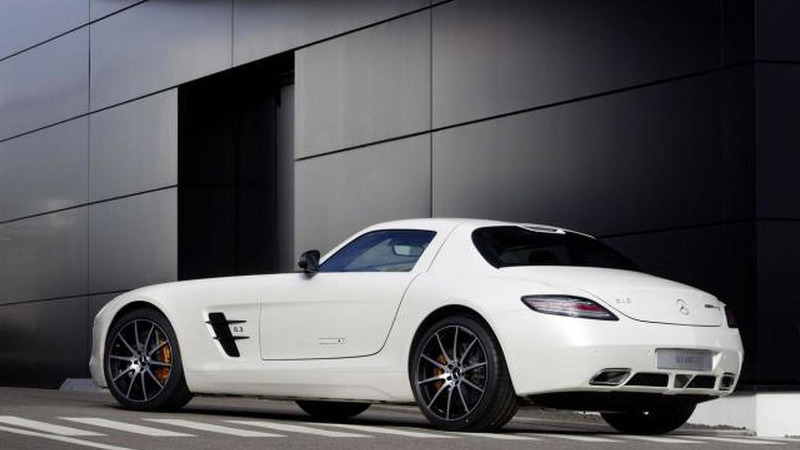 The 2013 SLS AMG GT is powered by a V8 6.3-liter engine with 591 HP (435 kW) linked to a SPEEDSHIFT DCT-7 transmission updated by AMG. It needs 3.7 seconds to reach 62 mph (100 km/h) and 11.2 seconds until 124 mph (200 km/h), on its way to an electronically-limited top speed of 198 mph (319 km/h).